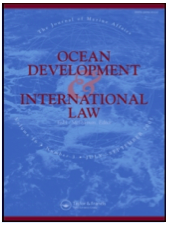 "The Spratly Islands as a Single Unit Under International Law: A Commentary on the Final Award in Philippines/China Arbitration"
Abstract: This article addresses the question whether Spratly Islands is “in law a unit … [such] that the fate of the principal part may involve the rest” (Max Huber). The question was pivotal in the Philippines/China Arbitration. The Tribunal addressed it from the perspective of the archipelago provision in the Law of the Sea Convention. This article approaches the question from the perspective of the Japanese Peace Treaty.